No-man's land will not include any populated localities. 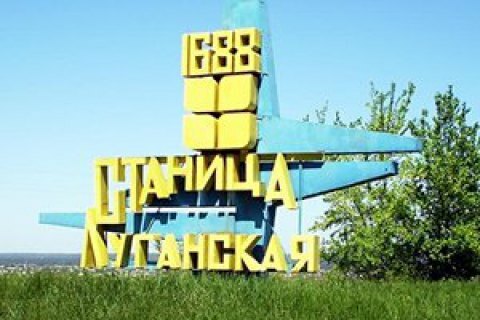 The representative of Ukraine in the security subgroup Yevhen Marchuk believes that the implementation of the agreement on the separation of parties to the combat zone in Donbass will not lead to Ukraine's loss of control over Stanytsya Luhanska. On his Facebook page, Marchuk stressed on 27 September that the sections of the front where the withdrawal forces is planned to start do not include any populated locality or industrial objects. "In the center of two areas is a destroyed bridge over the river Siversky Donets (Stanitsa Luhanska) and a defunct checkpoint near the village of Zolote. Our task is to have them repaired and put into operation," he said. Marchuk stressed that after seven days of ceasefire at these sites (and not across the front line), the parties must simultaneously withdraw weapons under constant control of monitors of OSCE and the STSKK 1 km left and 1 km right from the combat line. "We are talking about a 2x2 sq km square," Marchuk said and underscored that ATO troops will keep retain fire control over the no-man's land. On September 27, the head of the Luhansk region military and civil administration Yuriy Harbuz said he did not believe that the separatists would fulfil the separation conditions, and the departure of Ukrainian army from St. Luhanska may result in a loss of control over the city.